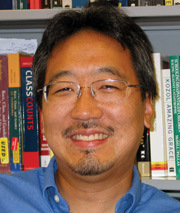 John T. Yun is an associate professor in the K-12 Educational Administration program in the College of Education at Michigan State University. His research focuses on issues of equity in education, specifically: patterns of school segregation; the effects of school context on educational outcomes; the importance of integrating evaluation into everyday school practice; and the educative/counter-educative impacts of high-stakes testing. Before joining the MSU faculty he served as the Founding Director of the University of California Educational Evaluation Center. NEPC Review: Answering the Question That Matters Most: Has Student Achievement Increased Since No Child Left Behind?